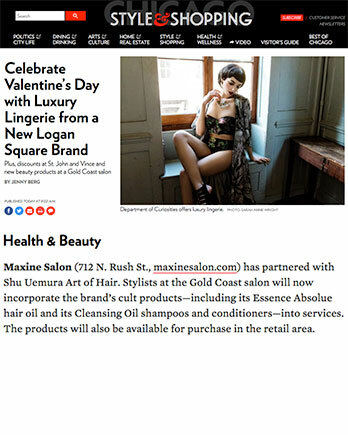 Maxine Salon (712 N. Rush St., maxinesalon.com) has partnered with Shu Uemura Art of Hair. Stylists at the Gold Coast salon will now incorporate the brand’s cult products—including its Essence Absolue hair oil and its Cleansing Oil shampoos and conditioners—into services. The products will also be available for purchase in the retail area.